One of the greatest parts of being on the Homeschool Review Crew is the opportunity to add some amazing variety to my high school kids' transcripts. Thinking Like an Architect was one of those amazing moments. Innovators Tribe has two fantastic STEM programs available right now, with a third coming soon. The Crew also had a chance to review Thinking Like an Engineer, so definitely hit the banner down below to see what people thought of that one. Thinking Like a Carpenter is the "coming soon" one, and it looks really neat. Technology and Engineering Education, the T and E of STEM Education, is what Innovators Tribe is all about. They want to make TEE courses available to middle and high school students everywhere. This isn't just for engineers, everyone needs to be technologically literate these days. That means more than just being knowledgeable about computers. Homeschoolers seem pretty on top of the computer technology aspect, but the rest of TEE has been a lot harder to teach. Mr. Kroeplin (aka Mr. K) is trying to change that, and these courses are a great way to make technology happen. Thinking Like an Architect is for 6th-12th grades, and I happen to have four students in that range (6th, 8th, 10th and 12th). I decided that all four would do the course, and the older two will get high school credit for it. 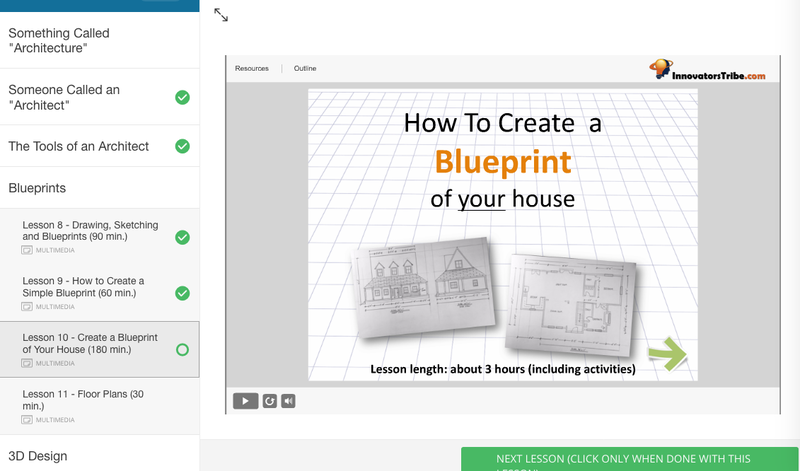 One awesome aspect of this course is that the subscription can be used for an entire household. Since my kids started getting older, it has been harder to do school the way we used to. I loved the days of sitting everyone down and reading aloud from various literature, biography, science, and history books. Everyone was learning at their own level. Those were some of my favorite homeschool days. This course has given us a bit of that back, since I can use it with everyone. Trina is learning a lot, but pretty much glazed over when math was seriously involved (one project involves estimating the height of your house, and that was reasonably challenging math). That's okay with me. I expect she is going to go absolutely crazy in the final section where you design your dream house. Her having fun is far more important to me than whether she grasps the geometry involved in some of the details. My high school students can get a little deeper, still doing this at their level. Each course is around 30 hours of work, between the video and power point presentations and the activities assigned. That translates to 1/4 credit. I'm hoping that Innovators Tribe is planning a fourth course, so that in working through all of them, I'd have a pretty easy full credit in TEE. Easy for me, not necessarily easy for them. I like courses that are easy for me. You need very few supplies, which is fantastic. The lessons are very easy to work through, and the projects definitely get you thinking. It is important to actually pay attention to what he tells you to do and to actually read instructions. As you go through the course, you have opportunities to do a variety of activities, from researching an architect, to building an architect scale, to creating a blueprint of your house (see image below), to working with software to design and build a model of your dream house. You can see a bit about how the course interface works in the image above. The green checkmarks show lessons we have completed, and the green circle is the lesson we are currently on. We can look ahead to see how long the various upcoming lessons will take, which is handy. As you work through the course, you click the green arrows in the bottom right to advance through. On that main screen, there is a "Resources" link that I had completely missed initially. That gives you links to all kinds of fantastic information, sorted by lesson. We just had to go back and watch a National Geographic video from lesson two, as "Great Cathedral Mystery" sounded too good to skip! 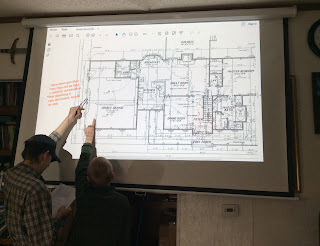 In the lesson pictured above, the kids have just learned a whole lot about blueprints and the symbols on them, and they are working on figuring out lengths of some of the rooms and other such things, using a REAL blueprint (okay, a pdf of a real blueprint). We put it up on the screen so that everyone could work on it together, and that worked out pretty well. Thomas is looking at the worksheet, and he and Richard are pointing to the sections they need to add up, I believe. If I snapped the photo ten seconds later, Thomas would be pointing to the other part, anyway. He had glanced back at the page and his hand moved. 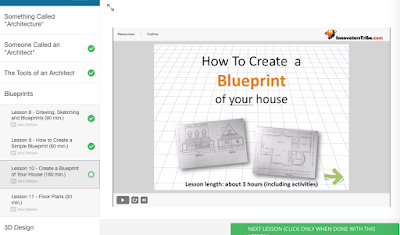 The next lesson had them drawing a simple blueprint, of a chicken house. They were to use the architect scale they had assembled in a previous lesson. This lesson took a fair amount of time, more for some of my more detail-oriented children. 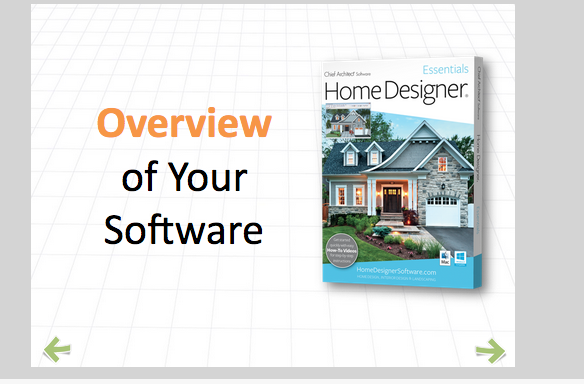 The best part of this class, though, is the software that we get to use in designing our dream houses. That part happens in the final section of the course, and we are just now getting to it. Home Designer looks pretty incredible. I've looked ahead and watched some of the tutorial videos, and this is going to be a very interesting set of lessons. One really fun thing is that there is now an Architecture badge in American Heritage Girls. Trina probably won't earn the badge this year, but one of the optional requirements is to design her dream home, another is to design the craziest house idea she can, and yet another is to design a house for a pet or other animal. She can easily do the optional requirements (she needs to do two optionals) for this badge once we are through the course. I am going to have her go through this course again as a 7th grader, as the badge requirements for 7th-9th grades are really easy to complete with Thinking Like an Architect. She has to learn about different types of architectural drawings and draw her house with them. She needs to learn about three American architects, and a female architect, so I'd adapt the research requirement in this course to fit the badge. 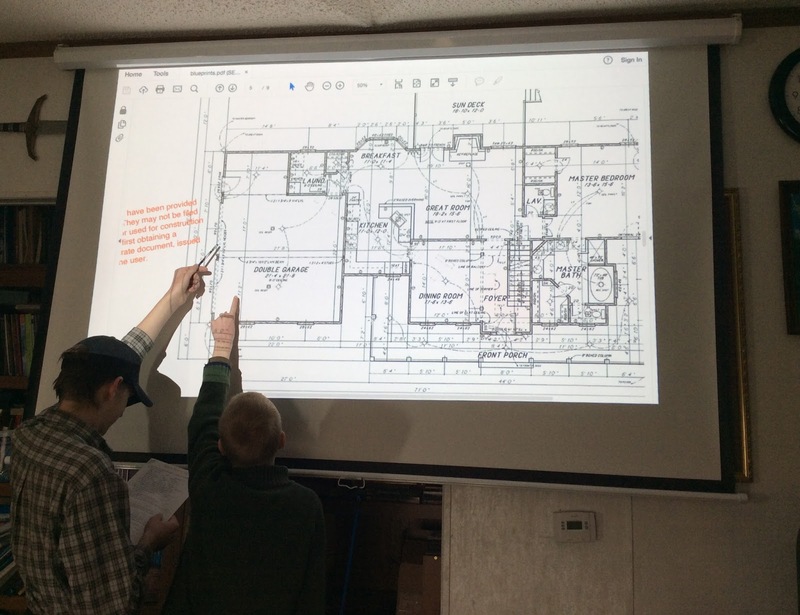 Designing a dream house with 3-D modeling software and a problem-solving optional requirement both fit this course well too. In addition, she'd need to visit a construction site and an architecture firm. Redoing this next year would mean that Richard could do it for high school credit as well. I highly recommend Innovators Tribe for middle or high school, and I really look forward to seeing what else they come out with!